A 28-year-old woman poked a man in the eyes in order escape his attack from behind in Lincoln Square this month, police said. The assault on December 4th was revealed in a community alert issued by police this afternoon. The woman was walking north in the 4800 block of North Western Avenue at 10:40 p.m. when the unknown offender approached her from behind, covered her mouth with his hand, and “made threatening demands,” the alert said. But the woman fought back poking the assailant in his eyes and forcing him to run away toward Lawrence Avenue, a source said. The alert does not specify what demands were made of the woman, but the source said they were of a sexual nature. Police described the suspect as a black man in his mid-20’s who stands about 5’11” tall and weighs 150-160 pounds. 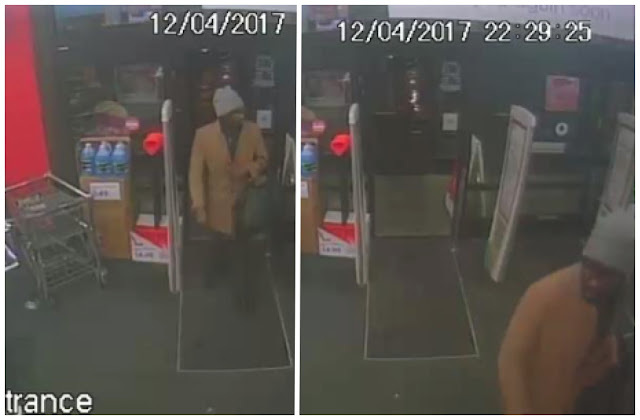 As seen in these surveillance images, the man was well-dressed, wearing a grey wool winter cap, a camel-colored jacket, and dark pants. He carried a medium-sized duffel bag or messenger bag, according to police. Anyone with information about the suspect is asked to call Area North investigators at (312) 744-8261 regarding case JA-536957.